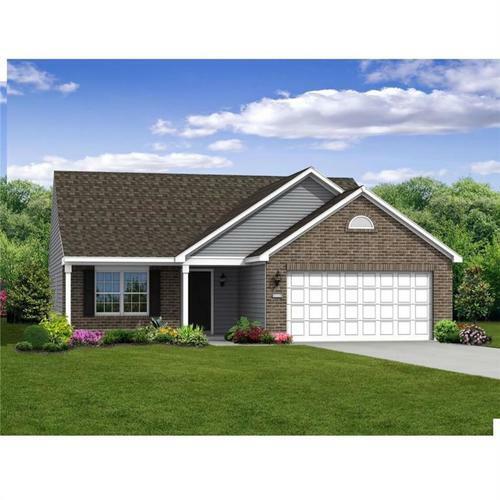 Spacious Ranch "Bradford" floor plan. This 3 bedroom 2 full bathroom home is just the right size for a starter home for the first time buyer or a downsize home for the empty nester. 9ft ceilings, flex room at the entry, tray ceiling and upgraded master bath make this home a comfortable choice for anyone! Directions:Take 70 East of 465 to Post Road, turn South to Autumn Road.